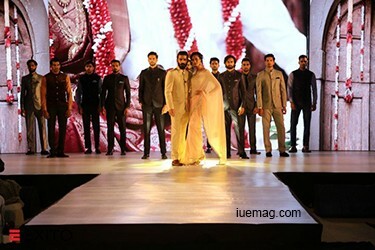 Focused on the upcoming challenges faced by wedding industry in modern time! Exotic Wedding Planning conference commenced on 28 - 29 July, 2016 at Hotel Novotel Goa Resort & Spa, Goa. The conference, revolve around "Key Planning for Destination Weddings", witnessed 250+ attendees across the country to discuss about rapidly changing wedding industry of India. The initial sessions, on day one consisted of Welcome Address by Sumeet Soni, Brand Director - (Ready to Wear) of Raymond Apparel Limited, followed by Fashion Show by Raymond Apparel Limited, Stand -up comedy by Satyajit Padhye an Indian Ventriloquist, Puppeteer & Puppet Maker and concluded by Shooting Star act, performed by Yogi's Angels Entertainment & Decor Pvt Ltd. Chef Salil Fadnis, Executive Chef at Sahara Star & Aamby Valley City stated that “Amazing event with about 100 wedding planners under one roof. Pure business event with excellent opportunity to increase your circle of contacts and eventually your business”, while other Keynote Speaker, Aarti Mattoo of Momentum Group appreciated and said "Great start for Exito in the wedding industry domain. I am sure a lot of work is already underway for the next few. Great team and hospitality extended to us. I received a roaring response for my key note session ‘What not to do in Events’ in fact I am still receiving some. Thanks to Exito for making it worthwhile for all stakeholders”. Second day of the conference, had witnessed opening remark by Chairperson - Divya Chadha, of AKA - A Klass Apart followed by Vivek Ramabhadran, Managing Director, Swarovski Professional India who spoke on, “Adding a Sparkling touch to your Weddings” and an enlightenment session on "Romancing the World- Present & Future of the Wedding Industry" by panelists Chef Salil Fadnis of Sahara Star & Aamby Valley City, Dhruva Kumar of Wedding Mansion and Co. and Shruti Tiwari of Vogue Luxury Weddings moderated by Rosemary Ratnam of Rings & Roses.Touching upon the digitalization of Indian business; Kapil Hetamsaria, CEO, VelvetCase.com spoke about Trend Alert: BridalJewelleryMoving Online and few more Speakers as Ankit Bhargava, Gunjan Bansal, Prerana Saxena, Annushree Agarwal contributed from their end towards the day. The Partners that graced our event were Raymond Apparel Limited, Swarovski Professional India, VelvetCase.com, Bay 15, Blue Sea - Deluxe Caterers Private Limited, Cape Weligama Sri Lanka, Chariot Beach Resort – Mahabalipuram, Cinnamon Hotels - Sri Lanka , GRAND UNIARA, Hard Rock Hotel Goa, Hotel Express Inn, Infinite Luxury Brands Private Limited, Jaypee Hotels, Keys Hotel - Berggruen Hotels Private Limited, Marriott Hotels, Narayani Heights Hotel & Club, Natraj Hospitality Services Private Limited, SAJ Resorts, Starwood Hotels & Resorts, Taj Hotels Resorts and Palaces, Tara Jewels Limited, The Corinthians Resort and Club, The HHI Kolkata, The Holiday Inn Goa, The Resort Mumbai, Thomas Cook (India) Ltd, InterContinental Hotels Group, Eternity Pictures, Mahek Audio Visual, Aspri Spirits Private Limited, Yogi's Angels Entertainment & Decor Pvt Ltd, Champions Yacht Club and Planet Goa, IU eMagazine, Midnight Reporter & WeddingPlz as Media Partners. “EWPC has been a great platform for the wedding planners to share their experiences & learning’s and showcase their speciality. We connected to a lot of enterprising professionals who not only wanted to achieve their vision but also intended to make a couple's wedding memorable. The conference was a one stop service provider where participants offered an array of specialised services. We, partners, in turn created new avenues to reach out to the bride and groom through a trusted wedding planner”, quoted by Sunayanaa Vora, Tara Jewel Limited. 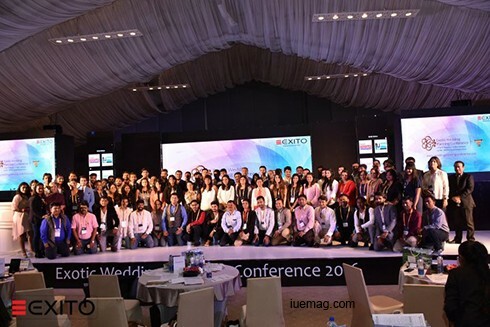 The Exotic Wedding Planning Conference being a Global brand had a perfect start to take it to Spain in November 2016 and Dubai in March 2017. Any facts, figures or references stated here are made by the author & don't reflect the endorsement of iU at all times unless otherwise drafted by official staff at iU. This article was first published here on 5th August 2016.